Home Blog Is Your Garage Door Energy Efficient? Most homeowners treat their garage as a sperate part of the house rather than an extension of it. This is why they end up having energy inefficient spaces, which are among the main reasons why people end up with high utility bills. Perhaps this is something that you have avoided for a long time. However, if you haven't been successful in minimizing your monthly energy spending, maybe it's time to ask yourself this question: Is my garage door energy-efficient? Did I Choose The Right Brand? A good manufacturer lives up to their promises. So if they've advertised that their products are energy-efficient, you can expect them to be true. If your door belongs to some unknown brand and was built by a shady manufacturer, however, there's no telling how close the boasts match the results. Most old homes, and even some modern ones, are not constructed with insulated garage walls. What they have instead are sheathing, outside siding, and boards that protect the inside area from the elements. Insulating the walls of your garage involves rolling insulation products between the joists and sealing the leaks to avoid moisture from getting inside the space. This would be a very good idea, particularly if you wanted to turn the space into a home office or a gym. If you’re not familiar with this process, caulking is the process of putting a sealant on leaks, usually between the concrete floor and the lower framing. It's a great way to ensure a certain room (not necessarily your garage) is air sealed and insulated, as well as rodent-proofed. 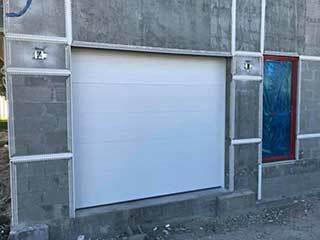 Weather-stripping is an important procedure that must be done to make your garage energy efficient and enhance its rain and snow protection. It will help you avoid drafts and keep all sorts of rough weather conditions from damaging your stored property. While it will raise the door's R-value slightly, it won't be as an effective insulator as actual polyethylene and polypropylene insulation. An insulated garage door will help you maintain a desired indoor temperature more easily, that's a given. But what you may not be aware of are the additional benefits it could offer. In the long run, the better insulated your home is, the more money you'll be able to save, as your HVAC unit will have an easier time and won't have to work as long or as hard. This will also be reflected in its maintenance requirements, as wear and tear gets worse the more the unit is operating. For more information on insulation and other subjects, contact our team at Garage Door Repair Friendswood.